Property Expo 2013 is being conducted in UAE for two days- both today and tomorrow. The property expo is expected to boost the sentiments of NRIs. Reserve Bank of India finally cut its main interest rate. This rate-cut by RBI will push other banks to offer home loans at lower interest rates. However the rate-cut is believed to benefit only the new applicants for home loans. Kingswood Oriental, a new project launched by Jaypee Greens, has got attestation from oriental architecture. Jaypee Greens in Noida is introducing a new product at Jaypee Greens Wish Town,Noida that will be called “Kingswood Oriental”. This construction will consists of independent residential villas extravagant view of golf greens on one side and a chip & putt golf course on the other. The built up area is approx 3,700 sq ft and 4,600 sq ft.The suggested price of these exclusive homes starts from Rs 3 cr at a basic selling price of Rs 8,100 sq ft where each villa will have three floors. Apart from all the world’s luxury Jaypee also provides yours residence with sports facilities. Tennis courts Squash Swimming pool Pool/snooker Library. The Kingswood Oriental residences will be a perfect accordance of luxury lifestyle with a touch of oriental architecture, combined with the latest technology for leisurely life. you should prefer Wish Town because of its location that is close to the Noida-Greater Noida expressway.Also,it is just 10 minutes drive from Ashram Chowk and it is marked to have Metro connectivity in the near future. 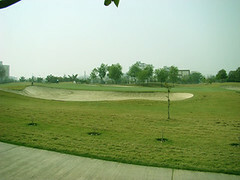 Jaypee Greens in Greater Noida bagged the Best Golf Development-India from CNBC Asia Pacific Property Awards in 2008. The government may soon come out with new investment norms for venture capital (VC), private equity (PE) and hedge funds to make their operations transparent and create a level-playing field for both the domestic and foreign players. Joint secretary in the finance ministry KP Krishnan said government is likely to revisit norms for VC funds and talks have already been held with the market regulator SEBI towards this end. Efforts are also on to create a legal framework so that venture fund investments should not land in a few sectors only and equitable distribution takes place. The government is specifically worried about huge fund inflow in sectors like real estate, which has affected investments in other hi-tech sectors like software and biotechnology. 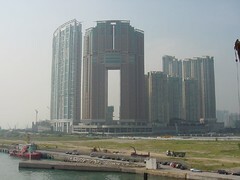 At the same time, it has led to appreciation in the prices of real estate in the country. Government, it is learnt, is considering to give some new tax incentives to venture funds and PE funds to invest in high-risk areas. Venture funds invest in the equities of high growth companies to earn hefty returns. At present, foreign funds have an advantage over their domestic counterparts under the existing tax system of the country. Head of financial services at PWC India, Punit Shah said foreign VC funds are at an advantageous position against domestic ones, while investing other than nine hi-tech sectors like biotechnology, software and nano technology. Government gives tax sops (no capital gains tax on profit) to domestic funds if they invest in these nine sectors but not others. But sectors like real estate is not included in this list. Therefore, when a domestic venture fund invests in an unlisted real estate company, he pays tax on the capital gains earned while exiting the company, Shah added. But, foreign funds registered in tax heavens like Mauritius and Cyprus do not pay any tax on the capital gains earned such transaction because of the double tax avoidance treaty. The new initiative, according to Krishnan, would ensure that same tax rule apply on both foreign and domestic VC, PE funds to achieve a level-playing field. Besides, the move will also make the investments by these entities transparent. For this purpose, the government would like to redefine VC, PE and hedge funds. On its part, SEBI will make it mandatory to register VCs and PEs after compiling data about their investments in sectors like real estate, ITeS, education. SNI director TC Nair said that at present the market regulator has no definite source about the exact investments of PEs and VCs. Chennai-based real estate developer Rakindo Developers’ proposal to set up a wholly owned subsidiary with $250-million FDI from Dubai-based Rakeen Development is expected to get Cabinet clearance on Thursday. Marks & Spencer is to enter into a joint venture aimed at establishing itself as a major retail brand in India. The JV is with Reliance Retail, part of the Reliance Industries Group. Marks & Spencer will take a 51% interest in the venture, with Reliance Retail taking the remaining 49%. Vijay Shanthi Builders, a Chennai-based Housing Promoters, would enter emerging real estate cities with their premium products and building solutions. Kuoni, India’s prime travel services provider, is selling its corporate travel arm to Yatra online. Gurgaon based Yatra online is an arm of the Anil Dhirubhi Ambani Group. If the deal goes through, this will be Kuoni’s second outing with ADAG. In 2006, Kuoni had sold its foreign exchange money-changing unit, Travelmate Services to ADAG’s Reliance Capital, which is now one of Yatra’s promoters. Mr. Dhruv Shringi, co-founder & CEO of Yatra Online, has not said anything on this issue. Even Niren Shah, MD of Norwest Partners, offered no comment. Norwest Partners, a global venture capital firm, is another promoter of Yatra Online. LONDON – India-centralized real estate investment company Ishaan Real Estate Plc. told that it has leased and pre-let 577,000 square feet of office and retail space, growing the total area of leased and pre-let space in its commercial and retail development projects to 2.4 million square feet. Ian Henderson chairman of Ishaan Real Estate Plc. told that they are predicting to make strong progress on construction and leasing activity during the remainder of 2008. The company said around 20 % of the saleable residential space in its first-class residential development project, Vivarea, in central Mumbai city, has now been pre-sold, also at prices above those expected at the time of admission. Ishaan Real Estate said pre-sales of the apartments commenced at the end of October and are experiencing strong demand. A real estate event that will draw big-time property devolopers from the Middle East as well as rest parts of the globe will take place in Singapore in April from 15 to 17. Chandigarh: The Haryana government on 27th February cleared allotment of industrial plots to fifty-one units which would carry an investment worth two thousand three hundred crore in the state.